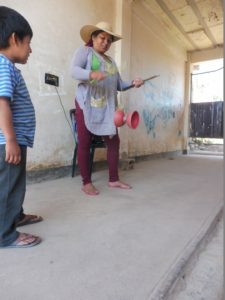 We are a team of dedicated people intending to make the lives of these children here in Bolivia better through the arts. John Connell went to Bolivia in the summer of 2003, when he was 16, to visit a classmate for several months after graduating from Scattergood Friends School. 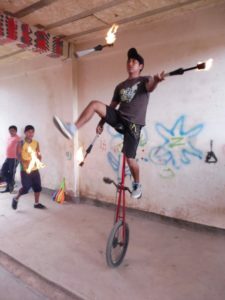 He stayed until spring of 2005, during which time he made his living by juggling on the streets of Cochabamba. When he was 18, he came back to the US to incorporate Performing Life as a nonprofit organization and raise funds for the project he envisioned. He returned to Cochabamba in February 2006 and began to organize the Performing Life project, starting the first official classes in March 2006. Since founding the organization in 2006 John has served as Executive Director of Performing Life. He is also the one of the founding members and current President of the US Board of Directors of Performing Life. 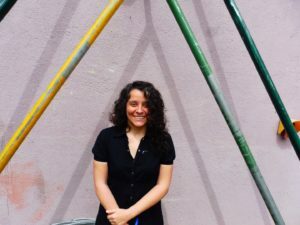 Irene Soria is a social psychologist and expert in education, training, social circus, new educational methodologies, and their application in both formal and informal contexts. She has extensive experience working directly with children in vulnerable situations, as well as managing projects in Spain and across Europe. For over 15 years, she has given courses and workshops in a number of disciplines and areas. She has worked with children and adults from very diverse backgrounds, in both formal and informal educational settings. This includes a number of courses in training trainers and courses for active teachers in EU countries including Luxembourg, Belgium, Malta, Latvia, and Spain. She has been part of the circus world for over 15 years, as founder of CircoForum.net, organizer of numerous circus events in Spain, editor and co-ordinator of the Fire Juggling Security Guide, collaborator in several Spanish circus associations (Donyet Ardit, AMZ, AMACA, AM, Koblakari), and with circus schools such as Carampa. Irene has contributed to various circus blogs and magazines such as Ambidextro, JuegosMalabares.Com, Malabares En Su Tinta, and El Circense. She always works from a feminist and inclusive perspective. Irene is currently dedicated mind, body and spirit to improving the Performing Life project. 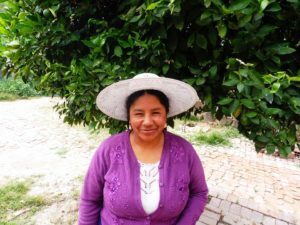 She firmly believes that it can offer its participants better opportunities, helping them to empower themselves and thus improve their communities. Amy Booth arrived at Performing Life as a volunteer in November 2015 and fell in love with the foundation, deciding to take on a staff position after her first year. Having always been passionate about both the arts and international development, Performing Life made her realise there were spaces where the benefits of circus and music could be engaged to make real improvements in people’s lives. Amy started learning circus when she was 16. She spent over three years learning trapeze at the National Centre for Circus Arts in London, and does silks, club juggling, and poi. 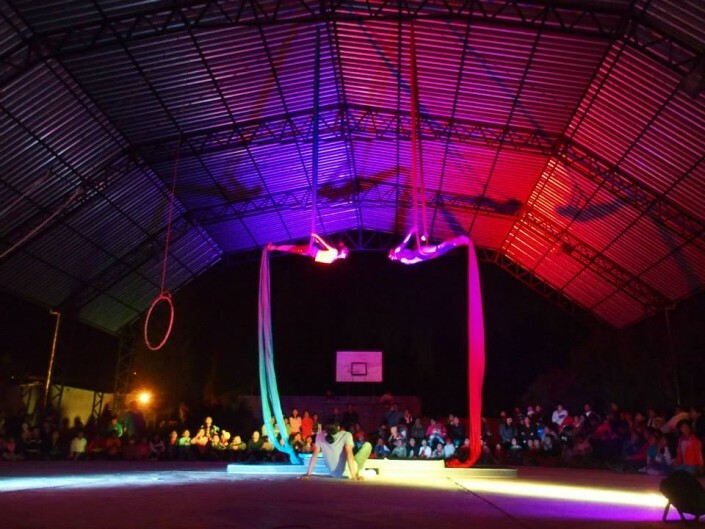 Circus, to her, is the point where theatre and sport meet, a unique way of developing creativity, discipline, and teamwork in a supportive community environment. She also has an extensive background in classical music. 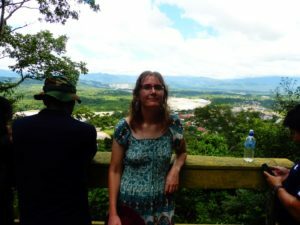 When not working with the foundation, Amy works as a journalist, aiming to bring the complexities, challenges and beauty of Bolivia to the world. My name is Pablo Armando Gonzales Jimeno. I was born in 1986 in Cochabamba, Bolivia. I entered the fascinating world of music by listening, when I was just five years old. 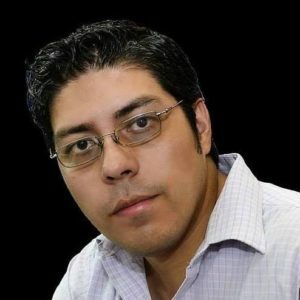 I started to study music academically at the age of 12, specialising in piano at the Instituto Humanistico de Formacion Artistic Franklin Anaya in Quillacollo, near Cochabamba. While specialising in piano, I also studied recorder, voice, mandolin, and trombone to an intermediate level. Afterwards, I continued my studies at Man Cesped musical conservatory and the Milan Conservatory of Professional Music in Cochabamba. During my studies, I gave public performances on piano, mandolin, recorder, and in a choir in public squares and theatres in Quillacollo and Cochabamba. Years later, at the age of 19, I participated in the National Piano Competition in the Cochabamba province of Totora, presenting my own piano composition in public. At 20, I was invited to teach at the Milan Conservatory of Professional Music, where I gave lessons in piano, music theory and keyboard to children and young adults. I was also chosen to act as a judge in the national school band competition, which included competitors from Brazil and Peru. In 2013, I was invited to become part of the teaching staff at the Superior School of Sciences and Arts (ESCA) in the faculties of music production and sound. I taught areas of study within music, such as music theory, musical appreciation, history of music, and keyboard. With my students, I produced a number of recordings in the professional studio while working there. They composed musical themes, and in 2015, I had the opportunity of directing a musical work produced by the students in Cochabamba’s Adela Zamudio theatre. In 2013, I was invited to be Director General and Academic at the Ensamble Academy of Music (AMEN), part of ESCA. I worked at AMEN for approximately two years, from its birth to its present status as a fully-fledged faculty. During this period, I taught classes, especially piano and musical classes, to children, the blind, and foreign students from France. I am now very happy to be part of Performing Life. The main projects I want to bring about are making instruments with recycled materials, musical expression, keyboard, composition, and creation of musical themes. Many of the musical abilities I have learned are partially self taught – over the past year, I have taught myself to play acoustic guitar, for instance. This counts for a lot when teaching music to children and young adults. Marlene studied social communications and began collaborating with Performing Life in 2010 to develop a film project with NAT (Organizations of Child and Adolescent Workers). Besides her membership on the board of the Fundación enseñARTE, Marlene worked with many local young people to produce the film “Memoirs of the Street”, which gave the youth involved a wonderful opportunity to explore their acting abilities. 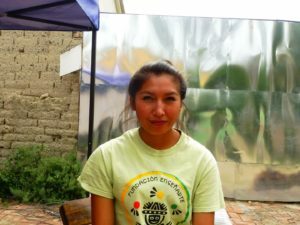 He returned to Cochabamba in February 2006 and began to organize the Performing Life project, starting the first official classes in March 2006. From 2006-2012, John served as Executive Director of Performing Life. In 2013, he stepped down as Executive Director and currently serves as the Director of the Circus Arts Program and Co-Director under current director, Pablo Cerezal. He is also the one of the founding members and current President of the US Board of Directors of Performing Life. Erik graduated from UC Davis in 2001 with a degree in political science and history. After working for a year as the coordinator of a high school intervention center, Erik moved to Berlin where he conducted research for the ‘think tank’ and development institution, The Rosa Luxemburg Stiftung. Following completion of his research, Erik began a master’s program in social sciences through the Global Studies Programme. He studied on three continents receiving degrees from the Universities of Freiburg (Germany), KwaZulu-Natal (South Africa) and Jawaharlal Nehru (India), graduating number one in his class. His thesis was heavily informed by research he conducted while working for the Ecuadorian based non-profit YanaPuma in 2006. After graduating, Erik moved to Bolivia and founded Sustainable Bolivia. In 2013 Erik worked as a graduate assistant at the University of New Mexico while conducting research toward a PhD in anthropology. Outside of work Erik’s passions include surfing, traditional medicine and traveling. 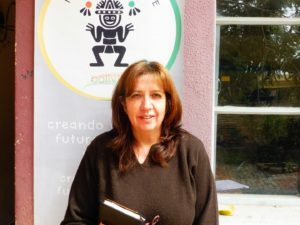 Suzanne has an MSc in Community Development and has worked for 40 years with traditional and indigenous communities in the southwestern United States. Education: University of Vermont, B.A., History. After graduating from the University of Vermont, Jonathan spent several years exploring his inner culinary artist and gaining restaurant management experience as Executive Sous Chef with Iron Hill Brewery and Restaurants in Delaware and New Jersey. Jonathan travelled for eighteen months in Latin America and Israel. He worked in a supervisory role as a Restaurant Consultant and Chef in Leon, Nicaragua, and Mancora, Peru. While in northern Peru, Jonathan worked to recruit and lead volunteers and raise funds for construction projects at the Mama Cocha Orphanage. In Israel, Jonathan volunteered with Sar-El and the Israeli Defense Forces to oversee the repair and maintenance of equipment and to troubleshoot logistical issues. Jonathan has lived and worked in Cochabamba, Bolivia, as the Assistant National Director of Sustainable Bolivia, a non-profit volunteer placement organization that works in the fields of education, social services, and environmental sustainability and currently teaches American History at the Cochabamba Cooperative School. When he is not busy cooking or pounding cobblestone streets, you can find Jonathan exploring photography, cycling the Andes, or tilling his urban garden.